The Doctor's Companions Ep. 55: Look at These Eyebrows! 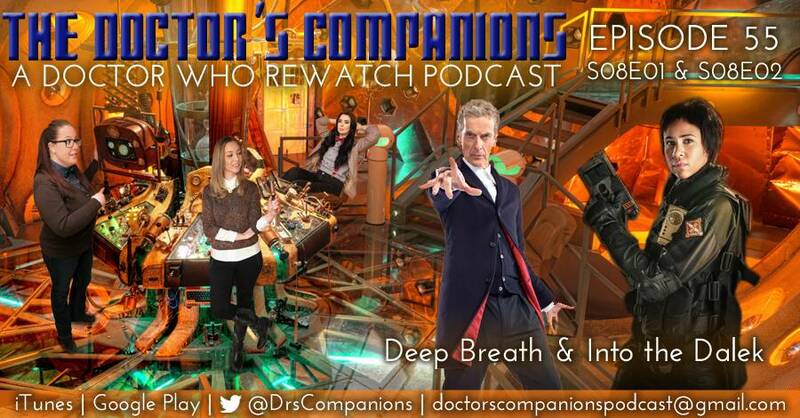 Tish, Juliana, and Linda talk about Season 8, Episode 1 “Deep Breath” and Episode 2 “Into the Dalek”. We discuss our new podcast set-up, the new Doctor, Danny Pink, Dalek biology, interspecies marriage, and whether the Doctor is a good man. In episode 57, the Doctor and Clara have to rob a bank so we want to know; Where would you want to rob? , or right here using the player below!